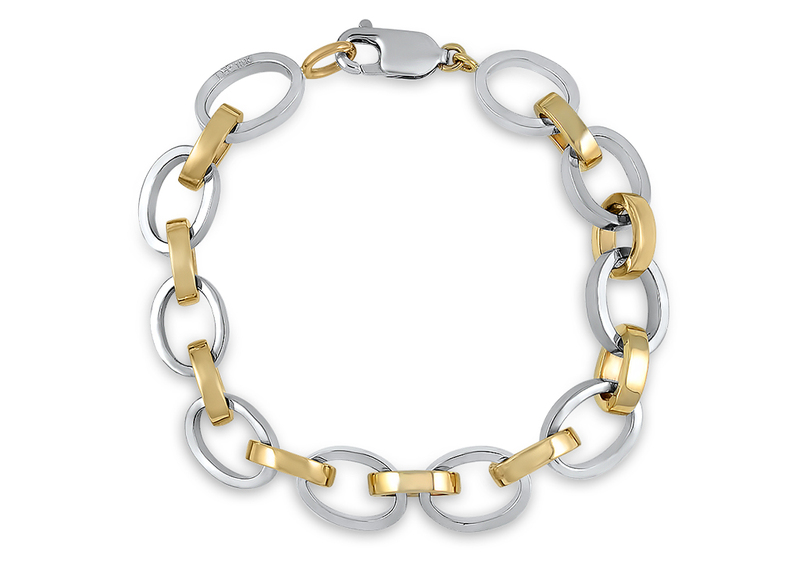 A substantial 14k white and gold bracelet. I handcrafted each open, oval link and then put them all together. Again, a long-time client knew exactly what she wanted but couldn’t find it anywhere. She sent me photos of a necklace that she liked and asked to make it as a bracelet instead. To make sure I truly understood her vision, I created a few links first. She approved the size and shape. And then I moved forward with the rest of the piece. She tells me this bracelet rarely leaves her wrist.